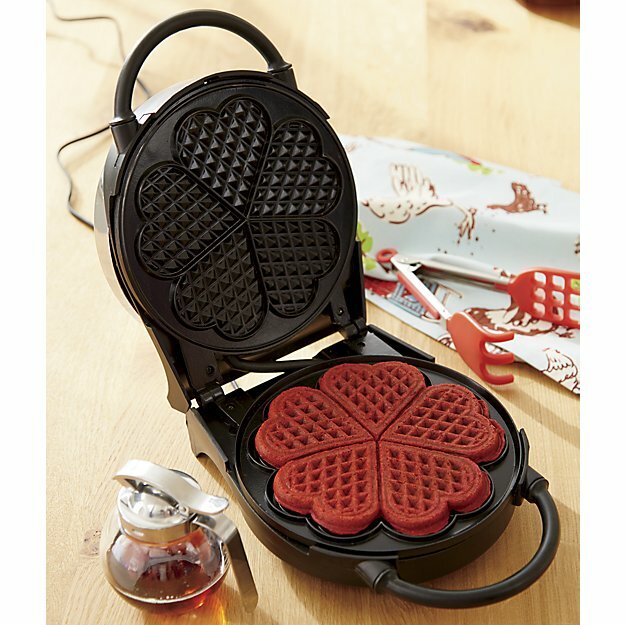 I am in love….with this heart shaped waffle iron from Crate and Barrel. Show the love this Valentines morning! I happily follow you via Facebook! This would be the perfect waffle maker not only for Valentines, but any love day, like a birthday for my hubs and four kiddo's! Adorable! This is such a cute idea for making waffles. This is awesome! I would love it. w810forhim at yahoo dot com. 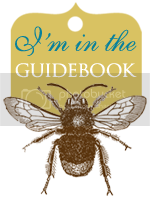 Liked on Facebook: Linda Bradshaw, following on GFC, Pinterest, and Instagram too. Thank you. I like terra's earth on facebook. Liked on Facebook! ( profile name:: Nicky Marie ) thanks! I follow on FB as Alyce Poalillo and on GFC as apoalillo. I follow via GFC. cdenigan at hotmail dot com (gmail dot com for follow though). Thanks! What an adorable waffle maker! I follow you on Facebook (Carrie Jenkins-Senff), and my email address is carriejenk at gmail dot com. Thanks! I love this waffle maker, so cute! I follow on Facebook & Instagram! I follow on GFC! Haydensmommy05. This is such a cute waffle maker! Thank you! This would be so much fun to use! I love waffles and with Valentine's Day just around the corner this would make a great meal for the family. I'm thinking chicken and waffles! I follow you on Facebook. This is adorable. My daughter would "heart" making these waffles! I follow on Facebook as Emily Musorelli. This would be the perfect start to Valentine's Day! I follow on Facebook under Grace Lee. I follow you on Facebook! I love this waffle-maker. Thank you for the chance to win! I follow you on Facebook @ Elizabeth Miller..email lyzabeth1970@aol.com--this is adorable -my daughter would love for me to make her these--thanks!! I follow you on facebook: Rhonda S. Phillips-Tenderholt. Thank you for the giveaway. My sons have been wanting me to get a waffle maker but I haven't yet. I've been seeing a lot of great waffle iron ideas lately -and this maker is lovely!! I follow you on Facebook and GFC as David Lintz. Fanned facebook Terry Bellender silverkat42@yahoo.com Thank you so much for the awesome giveaway! Following via GFC. Thank you for the opportunity! I follow via Facebook (my name is Jessica Miller on Facebook). My daughter would love this. Thanks for the chance! I follow on Facebook! This would be a great way to make my kids mornings a little more fun! I follow via GFC - Breanne. Thanks for the giveaway! I'm following on FB as Savannah Hadden! i would so love to win this thanks for your generous giveaway!!! I followed/liked your Facebook page. I follow on GFC as marcia goss. What a fun waffle iron! I already like you on Facebook under the name Jennifer Carroll. Thank you for the opportunity, this waffle iron is so adorable! 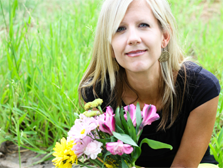 I follow via facebook as laura Johnson McCollister. I follow on facebook (Jackie Villano). I like you on facebook. Great giveaway, thanks! Thank you so so soooooo very much :)!!! !